Please start with choosing your time zone as the green button with the white text suggests. All online meetings are conducted through Zoom. Do you want to ask something before our call or give me insight on your current situation? 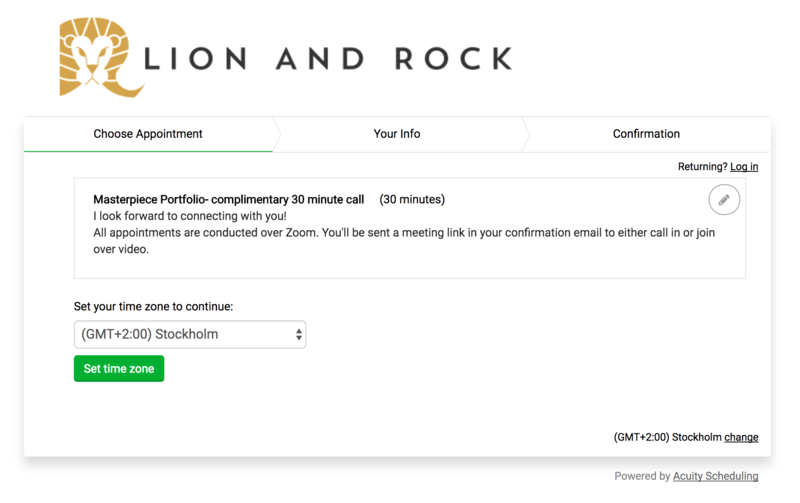 All appointments are conducted over Zoom. You'll be sent a meeting link in your confirmation email to either call in or join over video.